Home / Cat Furniture & Supplies / Hides / Kitty Pop-Up Condo, by Ware Mfg. Kitty Pop-Up Condo, by Ware Mfg. Kitty Pop-Up Condo, by Ware Mfg. These cozy condos pop up at home or on the go for a lightweight and portable kitty hideout. 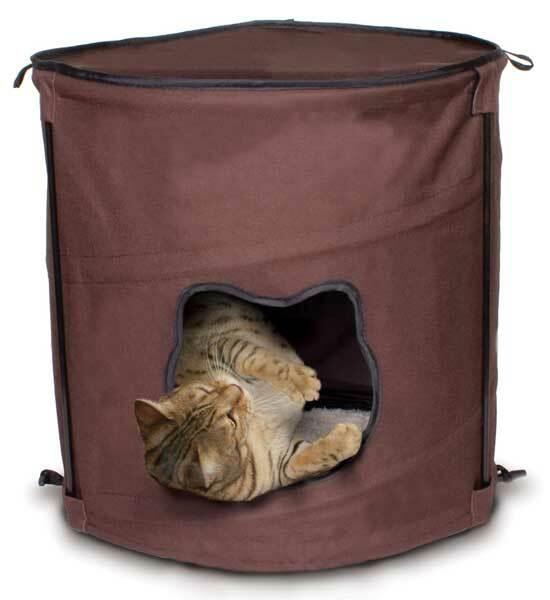 Made from durable canvas with a soft fleece sleeping surface inside, Pop-Up Condos fold flat and make the perfect pet hideout for travel.